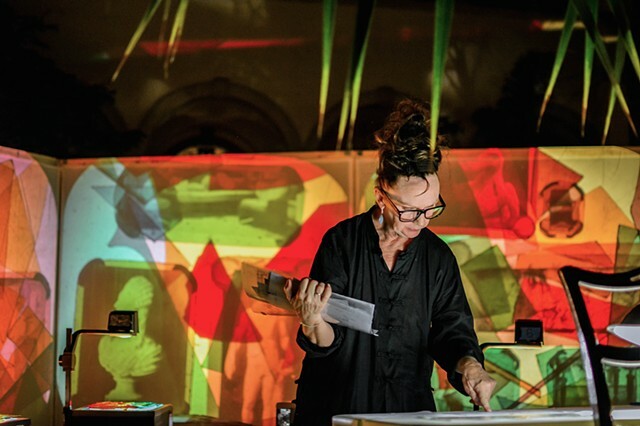 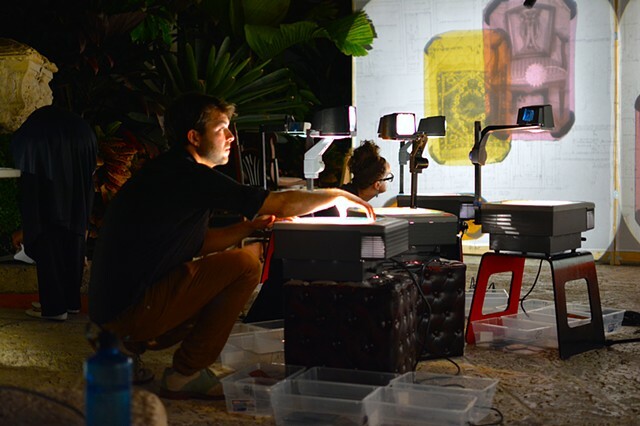 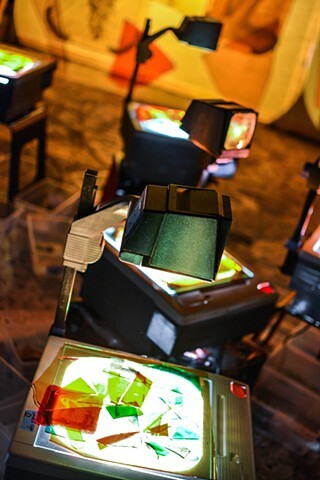 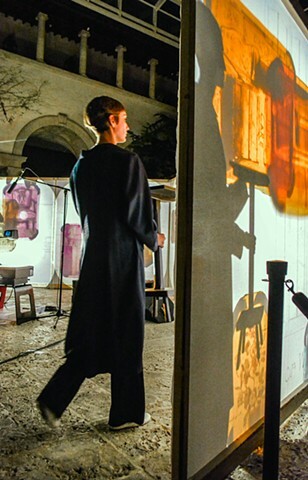 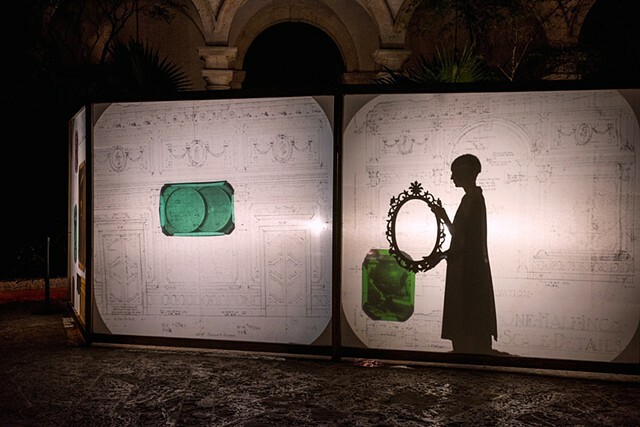 A site-specific performance installation transforming the archive of Vizcaya's artistic director Paul Chalfin's correspondence and photographs into a visual and spatial narrative. 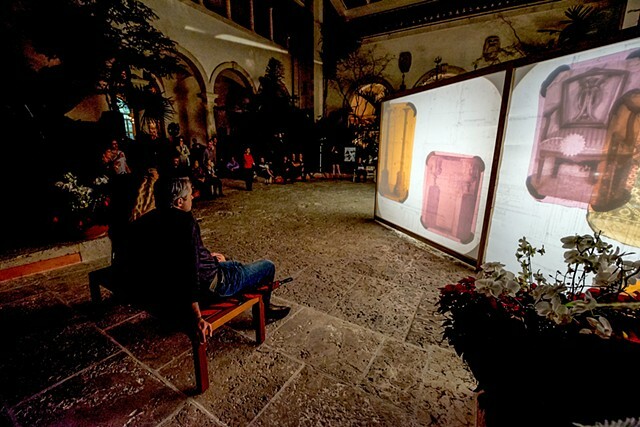 Throughout the week preceding the installation, visitors encounter copies of original telegrams placed in the Main House. 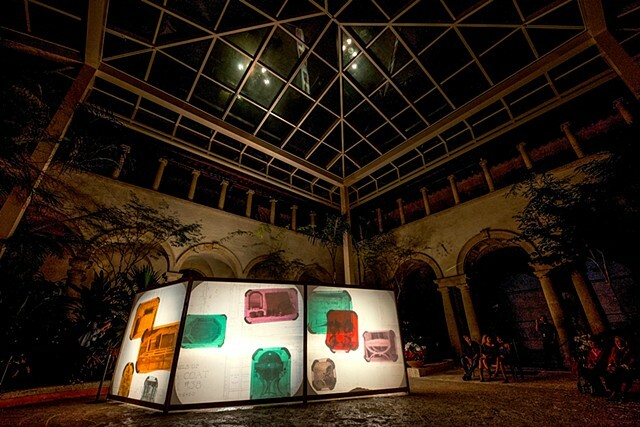 The project culminates in the central courtyard, through a theatrical stained glass projection that visualizes Chalfin's letters in a lyrical choreography of furnishings and interior design schemes. 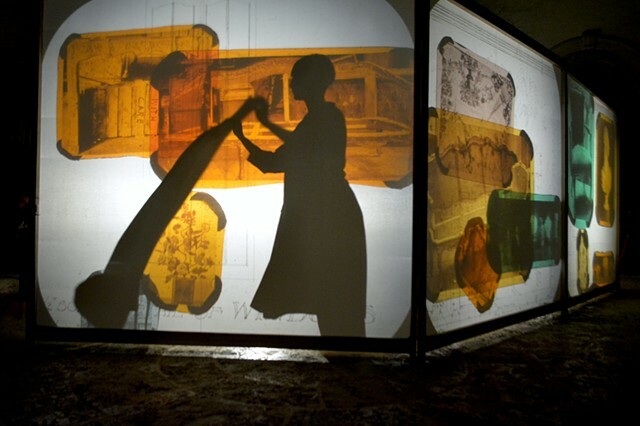 The performance installation was a collaboration by Sebastian Duncan-Portuondo with Sound and Vision. 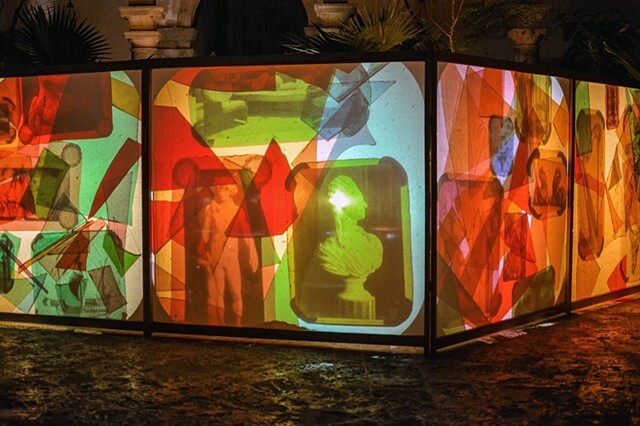 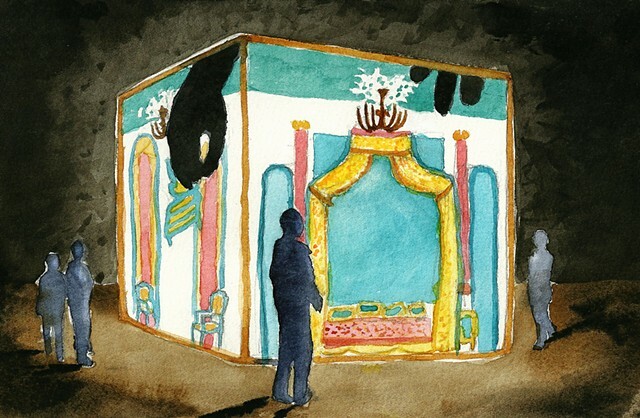 Commissioned by the Vizcaya Museum Contemporary Arts Program as part of "Fantastical Vizcaya." 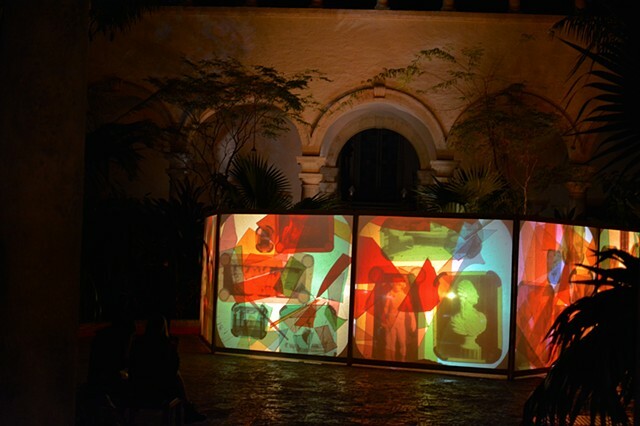 Photographs courtesy of Vizcaya Museum and Gardens.